Credit card debt is one of the easiest ways to get into debt. I remember the very first credit card I got. I was almost 18 yrs old and I received a catalog in the mail with a credit card offer right on the front. It was the “no interest or payments for the next 90 days” that got me. That was the beginning of me becoming a slave to credit cards. In all honesty, no one ever taught me the danger of credit cards. I really didn't see anything wrong with it. I wanted a pair of shoes and I was able to get them, what was the big deal? My credit card debt grew bigger and bigger. I was living on my own by the time I was 18 yrs old. I had to get by somehow. I'm sure I could have survived without my credit cards but it was so much easier to have everything I wanted. I just figured I'd pay off the credit card debt when I got older and had more money. Well, that scenario didn't work. When I decided to get married, my husband had credit card debt too. We had $35,000 in credit card debt together! We wanted to start a family but we knew the credit card debt would keep building. So we made a commitment to start paying off our credit cards. 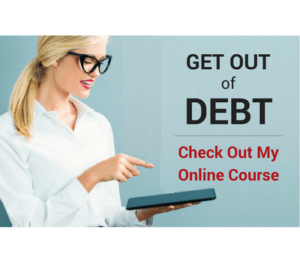 I'm excited to share the best way to pay off credit card debt but first, let's look at some important information about credit card debt. How Much Does the Average Person Have in Credit Card Debt? Did you know there are more Americans using credit cards than ever before? The average credit card debt in an American household is $5,700 (source). Paying off credit card debt doesn't look like it is a priority to most Americans right now. Most people have the same mindset I had “I'll pay it off later”. I'm sure you are familiar with debt settlement. If you aren't, debt settlement allows you to lump your payments together with a debt consolidation company. The debt consolidators negotiate with credit card companies to pay off your credit cards. The problem is, this can negatively affect your credit. We knew debt settlement was not an option for us. We didn't want to mess with our credit. By the time we started paying off our credit cards, we already had our twin daughters and I was pregnant with our son. Just to give you a quick overview, I was working as a real estate agent and my husband was working at the city water department. We were making end meets but then the Lord was calling me to stay home with the kids. It was crazy to think we were going to be living on one income while paying off our credit cards. This is where things got tough. We were living on my husband's salary which was $45,000 a year (before taxes). Thankfully, he had good health benefits for our entire family. So basically, we had everything we needed but we had some extras in our life that we needed to get rid of. I'm going to share the exact steps we took to pay off our credit card debt. We call it our “pay off credit card debt plan”. Giving it a name made it easier for us to pay it off. We were living in a really nice custom home that we designed and had built. It was the perfect house to raise our family. The problem was, the mortgage was over 50% of our single income. We had to make the decision to downsize our home or we wouldn't be able to pay off our credit cards. This was really hard for us but we knew it was a material thing and our family was more important. The house was one of the biggest things we had to get rid of but we also decided to downsize to one car, get rid of our quad, and sell my husband's favorite “work in progress” car. Once we downsized the house and got rid of all the extras, we had to create a budget. We had a budget before but we were allowing our overage to go to the credit cards. My husband and I couldn't do that anymore, we wanted to pay off the credit card completely. We sat down and wrote everything on a budget template so we could see where every penny was going. We wrote down everything we needed to survive. We were able to get rid of cable and still watch our favorite TV shows at a fraction of the price. I started making meal plans each week so we could save money by eating at home. I learned how to coupon so we could save money on groceries. We bought used clothing online to save on clothing expenses. Staying home with my kids is a blessing. It is worth it for me to give up all the luxuries I once knew. Learning to be content living on less is challenging, but the idea of paying off our credit card debt was well worth it. I learned to stop looking at other peoples situation and know that I was exactly where I needed to be. The truth is, you never know other peoples financial situations by the way they are living. They could be in financial debt themselves. Learning the best ways to save money was one of our biggest blessings. Most people love to save money. It's really easy to incorporate it into your daily life. The key is to make it a regular part of your spending. If we are going somewhere or are buying something, I always make a point to check for a coupon. Being intentional about saving money has literally saved us thousands of dollars which allowed us to get our credit card debt paid off. It's not complicated. We Paid Off Our Debt in 2 Years! 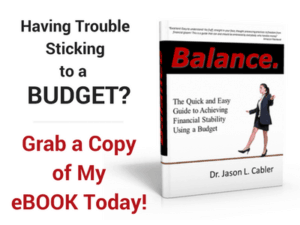 The five steps above helped us conquer our goal of paying off our credit card debt. It took us a little over 2 years to get $35,000 paid off. That was good timing considering part of the time we had one income to work with. You CAN pay off credit card debt, you just need to make the commitment. We had to make major changes to accomplish it but being on the other side of it now is such a blessing. This is a guest post from Apryl Griffith- Apryl has been married for 16 years and is a mother to 3 children. She’s been living on one income for the past 10 years. 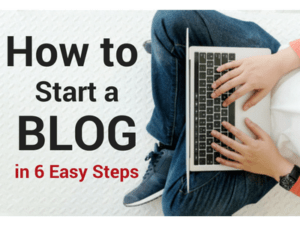 When she’s not homeschooling her children, she is blogging about ways to save money on her blog Money Wise Steward. 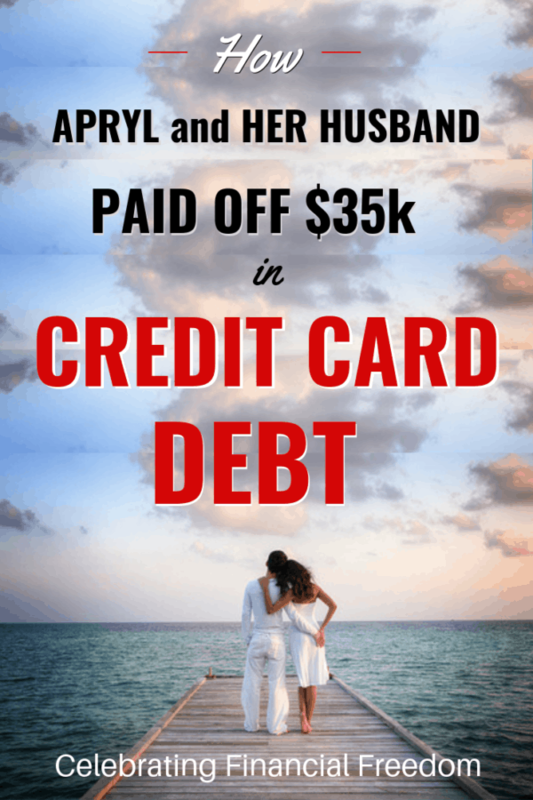 Apryl and her husband paid off $35k in credit card debt. How they paid off their debt + the 5 steps they used to pay off their credit card debt for good.